Welcome to the site that provides a true scriptural study of end time events. When is the rapture? What is the Day of the Lord? Is there any way that all of the scriptural prophecies really fit together? The Prewrath Rapture view answers these questions and much more! Only in a Prewrath understanding do all of the scriptural references and prophecies fit together. Can we really understand end-time prophecy in a way that naturally makes sense? Why is the second coming of Christ so confusing? Does it have to be? Are the popular books and movies accurate with Biblical teaching? You may ask, “What is the Prewrath view?” In a nutshell, the Pre-Wrath view is Matthew chapter 24 literally and chronologically. Click on the “PREWRATH” link above for the complete study. There is so much confusion and assumption about the events surrounding the end of time as prophesied in the Bible. Much of popular belief today is not centered in the Bible. The purpose of this study is to carefully look at exactly what the Bible does say about the return of Christ, and to give individuals tools to understand and interpret prophecy for themselves. Is there a way that all Bible prophecies fit together? Will the church suffer persecution? Is there a way to understand Bible prophecy? How will all the end-time events fit together? What will happen after Jesus comes? What is Daniel’s 70th Week? How can we be ready for the end of time? 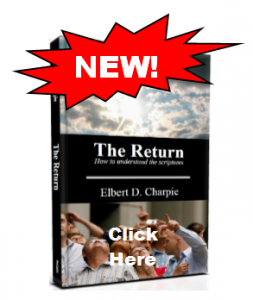 Will anyone be saved after the rapture?